Mike Hewitt - Was R. Lockett, Reuben the son of Ephraim and Emma Lockett? Mike Herbert - I spent 33 years in the coal mining industry starting my career in 1958. Des Greenwood - History of mining and the Erewash canal. Bill Higgins - Bill Higgins, I worked atMichael colliery in Scotland and Manton colliery, Worksop. I hope you can help. 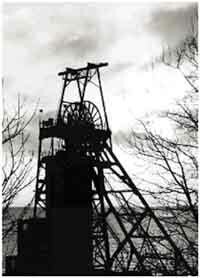 I am trying to trace info on a mining accident at Blidworth pit, possibly in the 1930-1940's. A relative of mine (William Smart), died in an accident, family folklore suggests that this was something to do with barrels and that William was crushed to death. I can't seem to find anything on this incident. I believe that he was the only person involved in this accident. Would the pit have been able to "not report" an incident involving only one person? or if he died later of his injuries (i.e. at home rather than immediately in the pit itself), would the death not be reportable to the authorities? I have some pictures of this man, which I would be prepared to publish should anyone want them. Having traced the family tree I am trying to "flesh out" a few characters. Any tips on how to gain information, or whether my assumptions about the recording of the death are correct, would be very gratefully received. Best of luck with the new knee, my Dad has had two and its really not as bad as you think, I am sure you will be up and about in no time! Cause of death - Run over by tubs at Blidworth Pit. The weighbridge and weigh office at Cotgrave is missing. It was situated approx between the two red cars shown on the photo. My name is Bill Higgins, I worked in the Michael colliery in Scotland on the night of the disaster when some of my mates were never found. 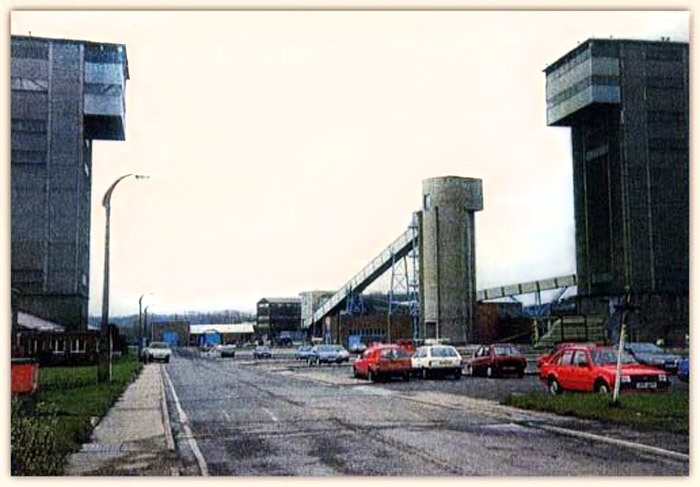 Michael Colliery, which is in the Scottish North Area of the National Coal Board, is situated on the northern shore of the Firth of Forth, in the village of East Wemyss, Fife, midway between Kirkcaldy and Leven. 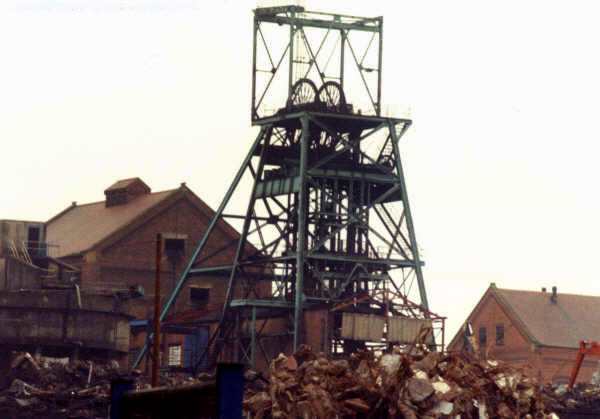 On 9th September 1967 a fire caused the evacuation of 302 miners. Unfortunately nine of their comrades died. I moved to Worksop 40 years ago where I worked till my retirement. 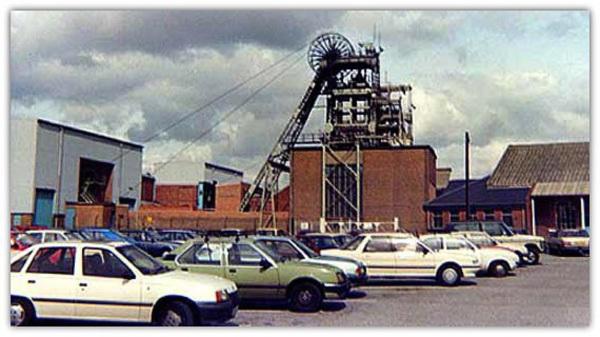 I was a deputy and then overman at Manton colliery where I enjoyed my job and the company of my mates. Now I enjoy a game of golf. First of let me say your site as proved of immense interest as an ex-miner albeit one of the so-called necessary evils (an electrician). I note the photo on your history of mining alongside the article for the building of the Erewash canal which could imply a connection. The photo is I believe from ‘The history of Denby written by Mark Fryer who was the manager of Denby Drury-Lowe colliery around 1890. The photo is of men loading coals into carts (mules) for transport to the Little Eaton gangway to the Derby canal. The cart on the right is a normal one going for local distribution whereas the left one is for the canal by rail. The gangway was laid down as an extension to the canal from Little Eaton to the Denby pits and the Denby ironworks by Benjamin Outram around 1810. The mule as they were known was a wooden frame fitted to a set of wheels. These ran on Outrams edge railway (forerunner to the flanged rail) and at the end of the track simply ran on the highway. When the carts arrived at the wharf at Little Eaton the frame was lifted off by an arm crane straight into the barges. Containerisation I believe? Most of the photos in the book were taken at the time of the Last gang’ being taken by rail to Little Eaton in 1908. see attached photos. I have only just found this site which I find most interesting. I spent 33 years in the coal mining industry starting my career in 1958 as a student apprentice in Leicestershire (East Midlands Area No7 NCB) I progressed through all the grades working handfilling on the face, through to shotfirer, deputy, overman, backshift undermanager, deputy manager, manager, area ventilation engineer and finished as headquarters environmental engineer mainly responsible for fighting underground fires throughout the country. I also did consultancy work in Australia, New Zealand and Spain. In due course I would like to add to this facility if this would be acceptable. I have one immediate comment on the word "Emico" which is a type of mobile bucket loader. 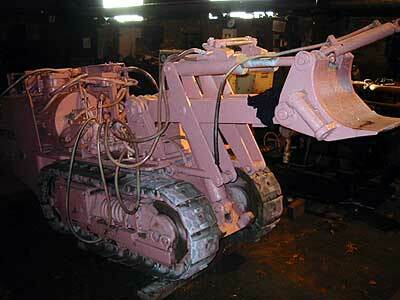 It was essentially a German designed machine and should be properly described as "Eimco"